Congratulations to the following winners of the Radio Mi Amigo International winter competition! Radio Mi Amigo International's 2018/19 Winter Competition is now closed. Great prizes will be available again for the winners of our Winter Competition 2018-2019, that runs between November 23 and February 10. 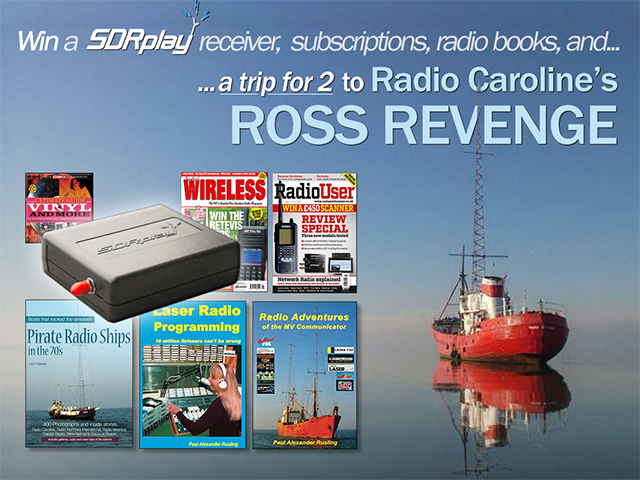 A trip for 2 to Radio Caroline's ship the Ross Revenge and a meet-and greet with the DJs in the live studio. Clues and questions that shouldn't be too hard for you to solve, if you listen regularly to one or two of our our weekend programs over the next 3 months, you can't miss them. All you have to do is write down and save your answers and send them to us by email after the end of the competition: between February 10 and february 15. Winners will be drawn from the entries with the most right answers, so you even can win if you don't have all the answers, just make sure you have as many of them right! The competition runs from November 23, 2018 until February 10, 2019 you'll get 1 new question every week, starting week 47, on Friday, November 23. Again, it is really simple: just answer as many questions as you can, and send them by email to: competition@radiomiamigo.international -between February 10 and 15.